(MENAFN - Muscat Daily) Muscat- Oman and the south Caribbean nation of Saint Vincent and the Grenadines have signed an agreement to establish diplomatic relations. The agreement was signed in the UN building in New York on Monday. 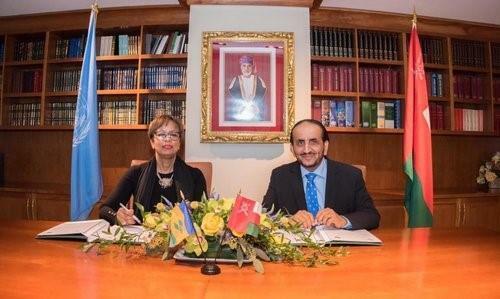 It was signed by H E Sheikh Khalifa bin Ali al Harthi, Permanent Representative of Oman and Inga Rhonda King, Ambassador and Permanent Representative of the Saint Vincent and the Grenadines to the UN.